Kia Ceed Sportswagon Interior, Sat Nav, Dashboard | What Car? 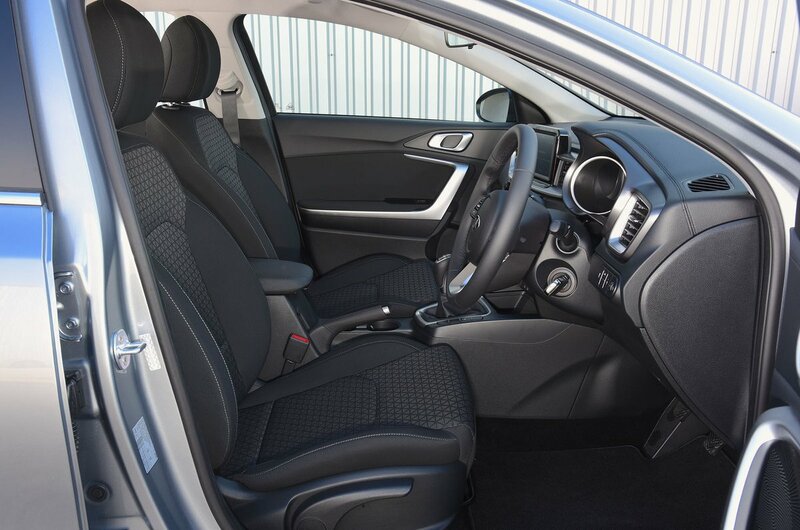 Even entry-level Ceed Sportswagons have a good range of adjustment for the driver's seat and steering wheel, plus the pedals line up nicely, which means you’re not forced to sit crookedly. Upgrade to mid-level 3 trim and you’ll also benefit from electrically adjustable lumbar support to help fend off backache on long drives. Or go for top-spec First Edition to get full electric adjustment with two memory settings so you can easily restore your preferred driving position after someone else has driven the car. These days, more and more manufacturers are moving all key functions onto touchscreens, but the Ceed retains separate buttons and knobs for its air conditioning, an approach that makes it much easier to tweak the settings on the move. Relatively thin windscreen pillars ensure it’s easy to see out at junctions, but over-the-shoulder visibility is quite restricted, so you’ll be grateful that a rear-view camera is fitted as standard to help with reversing. All models also get electrically adjustable and heated door mirrors, a front wiper de-icer and automatic head and tail lights. Meanwhile, 3 trim includes rear parking sensors, and First Edition adds front parking sensors and LED headlights; the regular headlights are only okay by modern standards. Entry-level 2-spec Ceed Sportswagons feature a 7.0in touchscreen infotainment system with a DAB radio, Bluetooth and Apple CarPlay and Android Auto smartphone mirroring. However, if you don’t want to rely on your phone’s navigation app, you’ll need to upgrade to a 3 or First Edition model; these get built-in sat-nav, in addition to a larger, 8.0in screen. 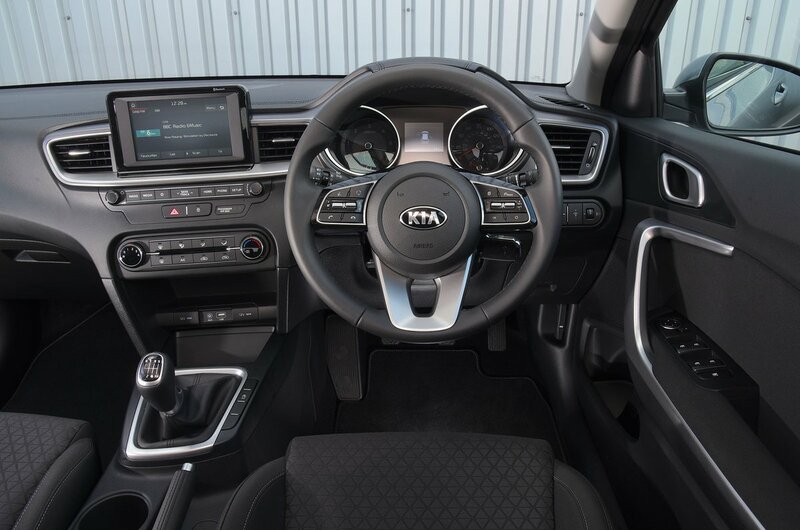 Some might not like the free-standing style that Kia has gone for, because it makes the screen look like a tablet that has been glued to the top of the dashboard, but it does at least mean you don’t have to look down to use it. And both the 7.0in and 8.0in systems are responsive. Where they disappoint is in not having physical shortcut buttons to let you quickly switch between different menus, while rivals such as the Skoda Octavia Estate and Volkswagen Golf Estate benefit from larger icons and clearer graphics. It's also a shame that you can't add individual options; the only way to get wireless phone charging or the punchy JBL premium stereo is to spend a lot of cash on the range-topping First Edition car. The interior looks rather drab, particularly if you go for entry-level 2 spec, which misses out on the piano black trim that’s standard higher up the range. It’s hard to fault the standard of assembly, though, with everything feeling well screwed together. 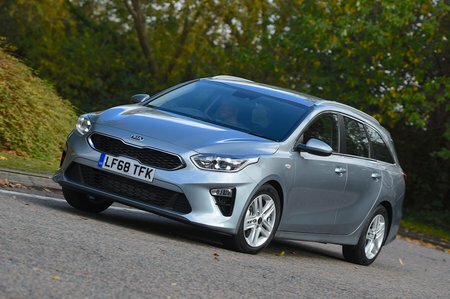 Plus, the Ceed feels classier than a Ford Focus Estate or Vauxhall Astra Sports Tourer, thanks to nicely-damped controls and plenty of squishy plastics.